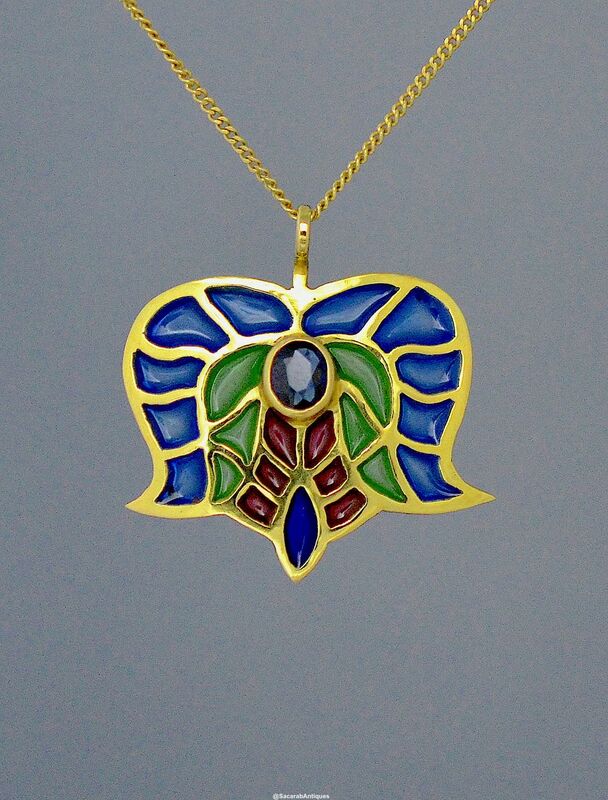 This lovely pendant is designed and handmade by Jean Wilkinson. Designed as a tulip (and known as Tulip) the plique a jour enamel is in blue green & red and is set with an oval blue sapphire. It hangs from a fine 18ct yellow gold chain.